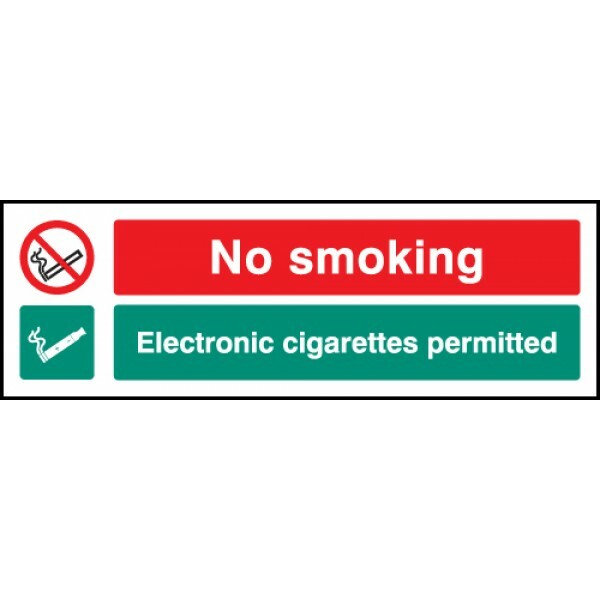 This prohibition safety sign should be used in areas where electronic cigarettes (vaping) and smoking normal cigarettes is strictly forbidden. Remind staff, visitors and the public where they are and .. This "Safe Condition" safety sign should be used in areas where electronic cigarettes (vaping) is allowed. Remind staff, visitors and the public where they are and aren't allowed to smoke with our ran..